Being in charge of a project means that you will have to take care of the different aspects that contribute to its completion. This means that you will have to oversee the project from top to bottom, and you would have to need an image of the entire project to keep you on track. This is when a well-constructed process flowchart comes into great importance for you and your team. Lucky for you, we have an entire Process Flowchart Template section for you to choose from. Everything has been formatted so then all you need to do is customize to fit your company process. 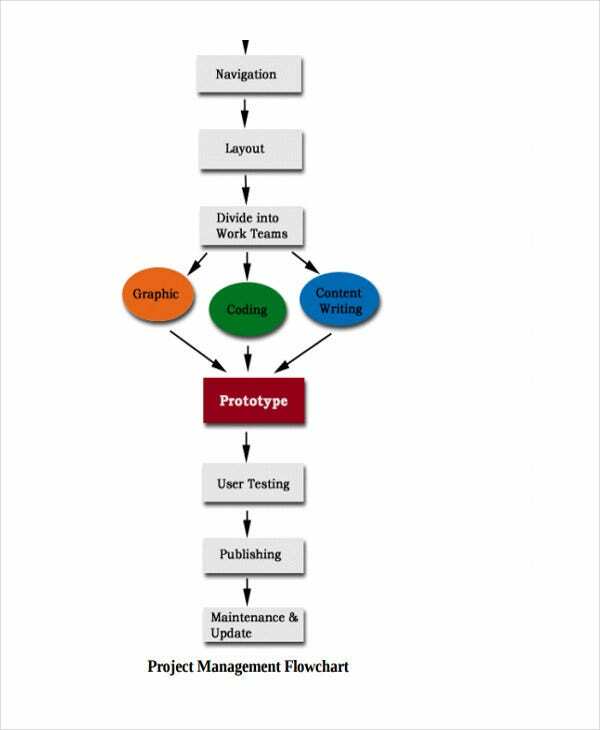 This section has a number of charts that indicate the movement of your project from conceptualization to delivery. We walk with you through each of them and discuss how they fit your company. Construction Project Flowchart. This template works best for companies in the construction business. 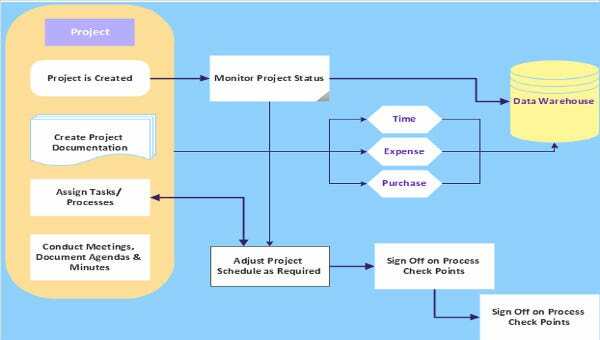 This flowchart depicts project management steps in overseeing the planning, design and construction of a project. This chart is useful to take note of a project’s timeline, cost, quality, and responsible persons for each step. Purchasing Process Flowchart. 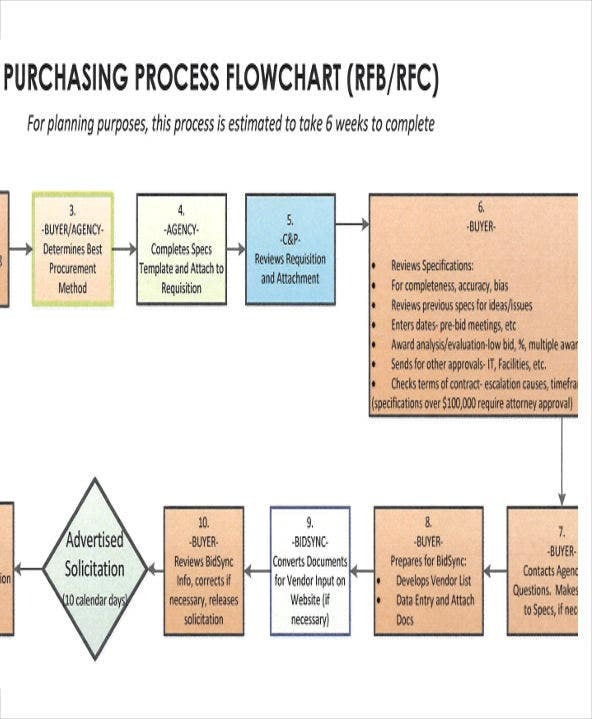 This type of chart is useful for your employees and clients to be informed of every step that goes into the purchase and procurement process of your organization. 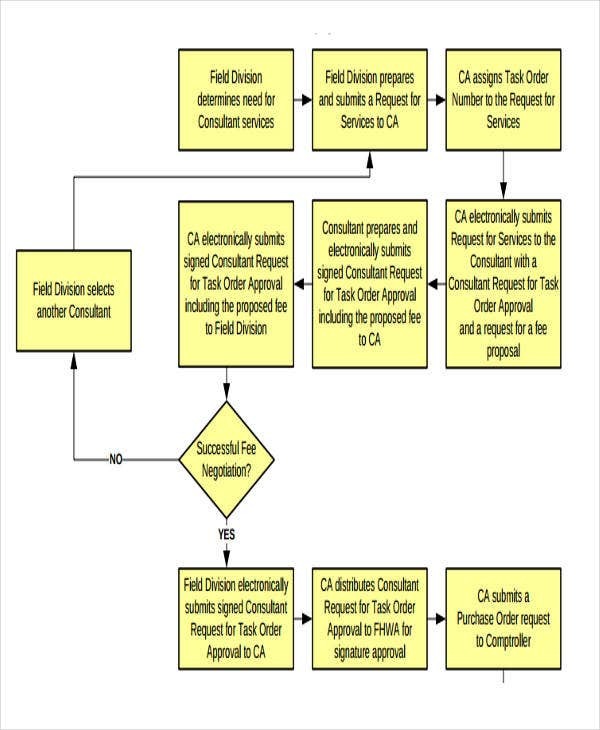 If your company has been suffering because of the delayed release of payments of missing purchase orders, this chart is convenient for everyone to follow the process to a T.
Project Management Flowchart. This type of chart is the most versatile as it can be applied to most types of organizations. 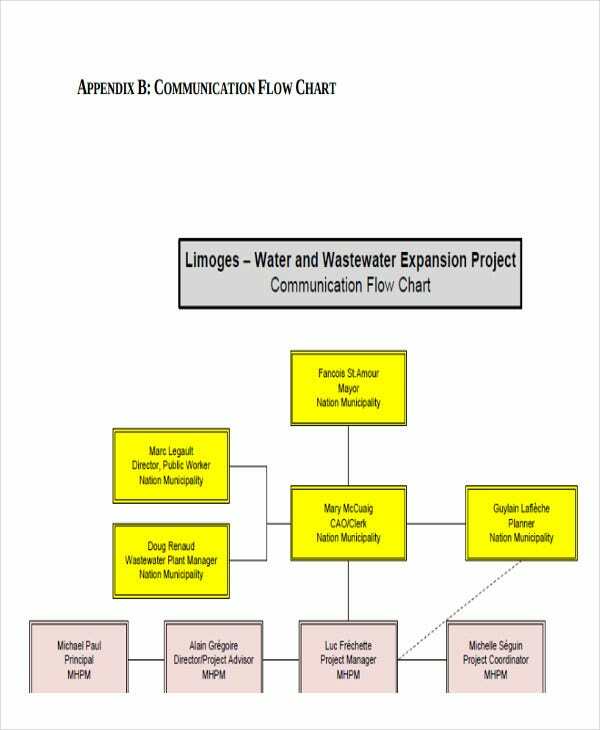 This template will produce a diagram that will show complementing and mutual processes and project cycle relationships. 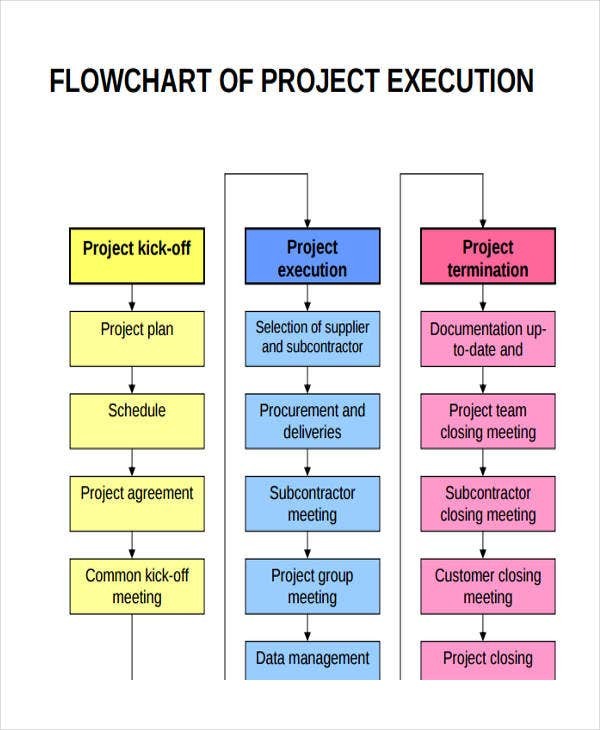 It will also be easy to take note of a project’s timeline and cost with this flowchart. For more business templates, visit our Productive UX Flowchart Templates page. 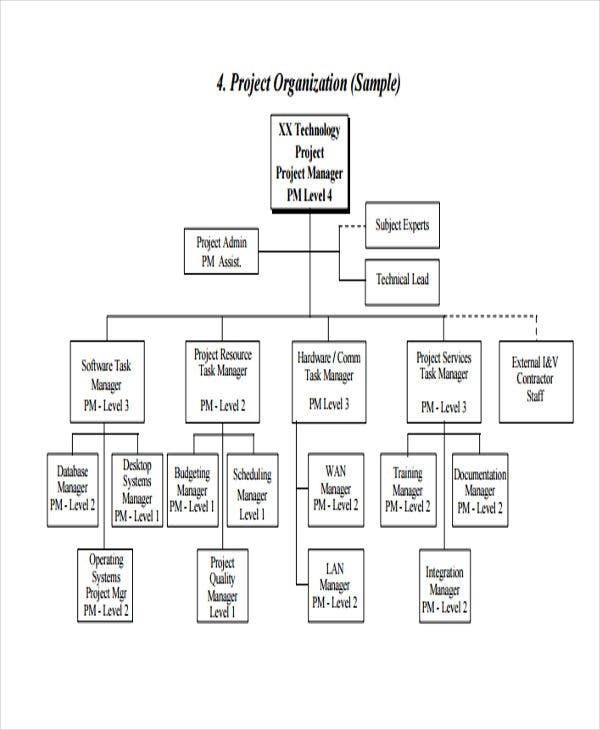 Project Communication Flowcharts. This type of flowchart depicts how information is shared and stored between organizations and individuals. For organizations that rely heavily on coordinating with internal employees and external partners, with added phase-gate models, this is the best type of flowchart to use as it is easy to determine your next steps in terms of sharing acquired information. Project Planning Flowchart. This type of flowchart depicts the entire planning process of a project. The planning process may need to be represented in a diagram for further critiquing and refining to create a planning process that is universally fitting to all projects in the organization or to create a process model that future projects can duplicate after. 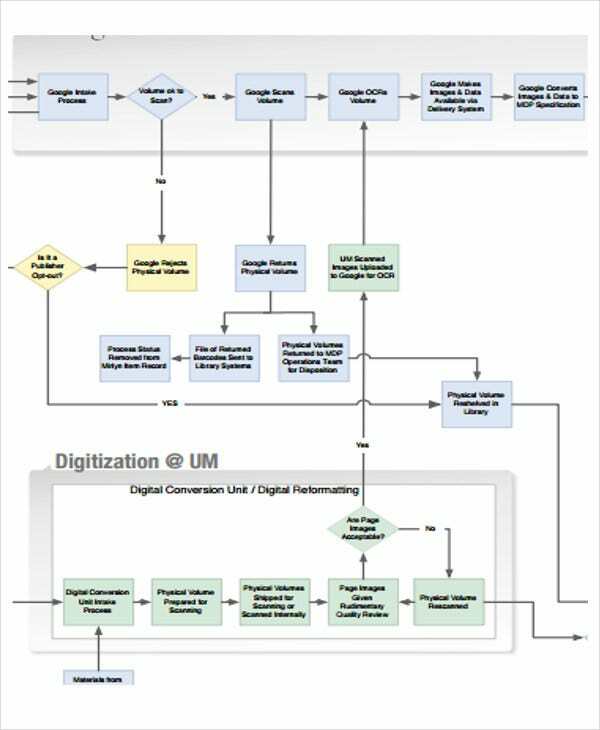 All of the Process Flow Chart Template options that we have on our site are easy to customize depending on the type of company and its processes. All our templates are easy to access and share in PDF formats. The best part is that our templates never come with a price tag! So use our templates our take a tour of our website for business-related forms.